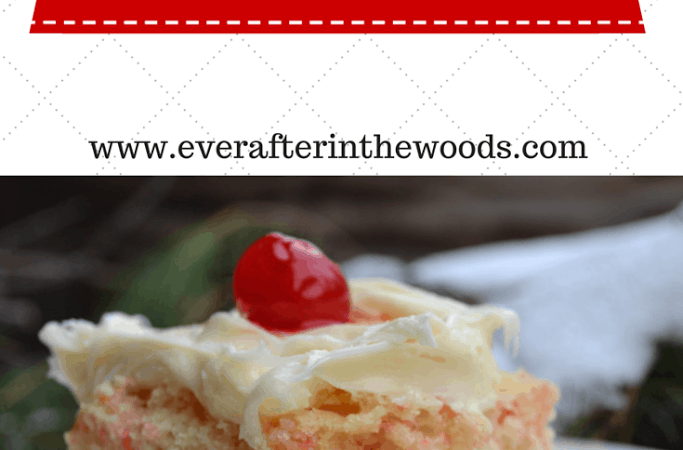 So I have a beautiful and delicious festive cake for you for your holiday gatherings. 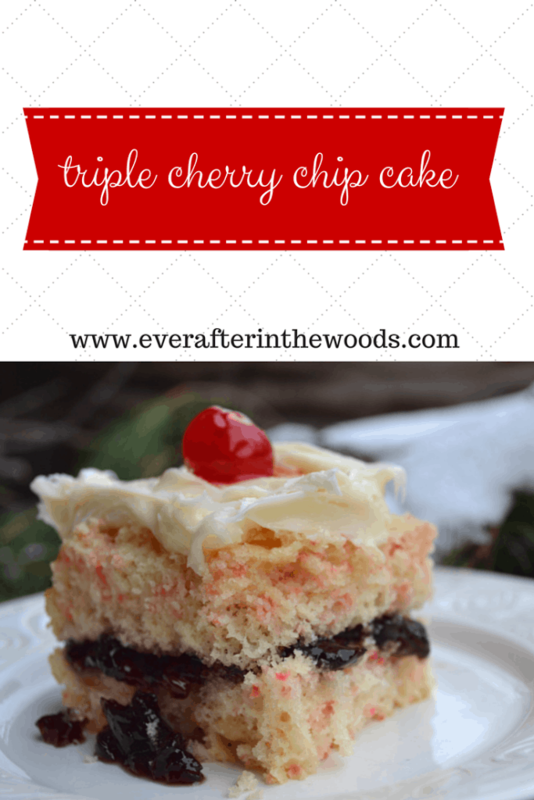 This Triple Cherry Chip Cake is so easy because you are using a bunch of shortcuts to put it together. 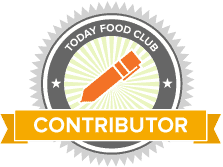 This came about when I was in the grocery store and saw the Cherry Chip Cake Mix from Betty Crocker. I had never seen this variety of cake mix before so I wanted to give it a try. 1. Bake cake according to box instructions in a 13 x9 inch baking pan. 3. Slice cake in half lengthwise. 4. Spread cherry topping across layer. 5. Top with the remaining cake layer. 6. Frost cake with cream cheese frosting. 7. Top each slice with a maraschino cherry when serving.